Pictured: The bus shelter as it appeared on Thursday, November 16. 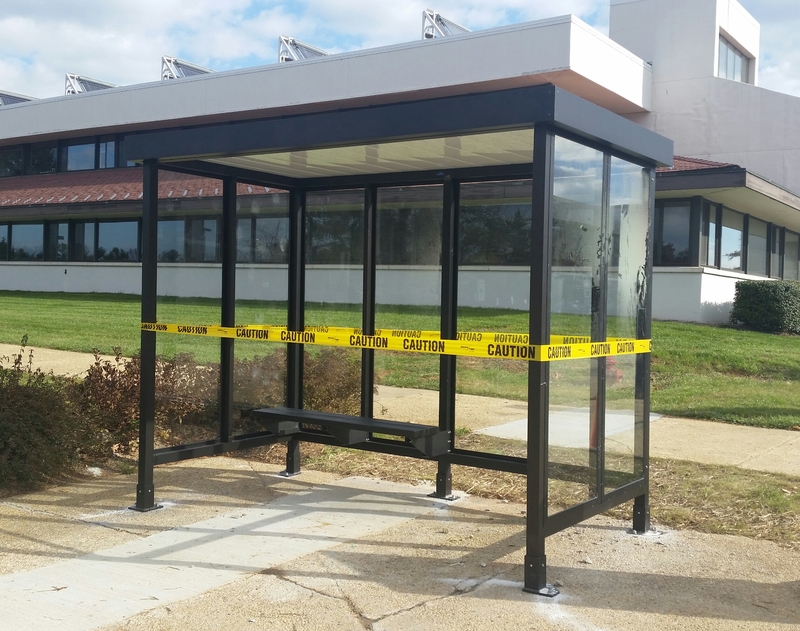 Midday on Wednesday, November 15, a new bus shelter was put up in the area in front of the SA and HS buildings. The next day, workers continued construction on the bench inside the bus shelter. By Friday, the caution tape around the shelter had been removed, indicating it was ready to be used. As of Friday afternoon, there was no signage at the shelter indicating any affiliation with a specific transit service. There already is a large bus shelter in parking lot 1 where students can catch the route 55 Ride On bus and the Montgomery College shuttle. The new shelter will not be used as a new location for the Ride On stop. It is also a different design compared to other shelters at Ride On stops in the area.